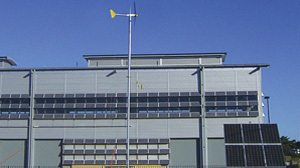 7.2kW grid feed solar power system installed in Darling Harbour NSW for the Sydney Harbour Foreshore Authority (SHFA). 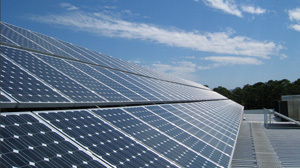 Energy Australia purchase the exported green power to contribute to their green energy production. 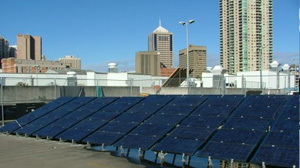 The system comprises 90 x 83 Watt BP Solar (Solarex) panels and 2 x Fronius IG40 Grid Feed Inverters c/w full data logging. This system runs at a nominal panel voltage of 440V. 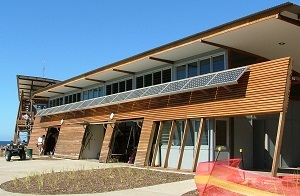 2.1kW grid feed solar power system installed above the entrance of the Muswellbrook Shire Council Administration building. 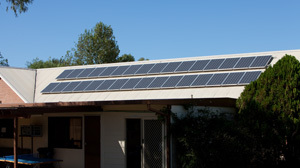 System has 12 x Sharp 175W solar panels connected to a Fronius IG20 grid feed inverter with datalogging and comms cards to facilitate the connection of a PC. The PC is located in the foyer and utilises Fronius control and information software to display the system status and generation data. 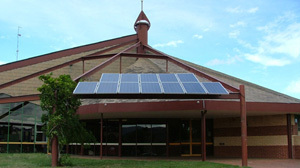 5.7kW grid-feed system installed at Scone Grammar School in 2009 includes 32 x Sharp 180W monocrystalline solar panels connected to a Fronius IG60 6700Wdc grid connect inverter. A Fronius datalogger is incorporated for system monitoring. 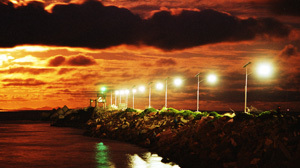 In 2008 we designed and installed a standalone Solar and Battery System to support the Surf Lifesaving Club building, offices, kiosk and amenities along with the National Parks office. We have provided ongoing support and maintenance over the past 8 years with a full upgrade completed in 2017. 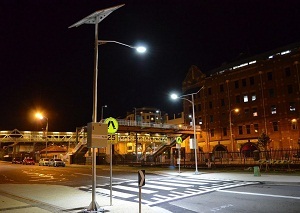 In 2015 Newcastle City Council approached Solar Power Australia to provide a lighting system for a new crossing being installed on Wharf Road. Made to order, our solar lights have a custom distribution pattern to meet Australian Standards for Pedestrian Crossings. ELMOFO E-Cells were chosen by Newcastle City Council over other alternatives for their No.2 Sportsground Energy Storage System. 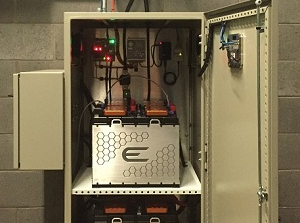 The E-Cells incorporate an Australian engineered Batrium BMS (Battery Management System) which enables integration with an advanced monitoring system and ensures maximum safety and lifespan.